This week’s Cents of Style features a cool summer outfit fit for navigating the concrete jungle (or in my case, the southern backwoods.) Also, I made the necklace specifically for this outfit and I’ll be happy to post a shorties tutorial for anyone interested! This time I included more than one link for each item to give you some variety, both in price and look! I audibly gasped when I saw this romper in the dress section at Goodwill, the fabric is amazing and I’m obsessed with this color right now. It has an expensive feel to it but it is so comfy. 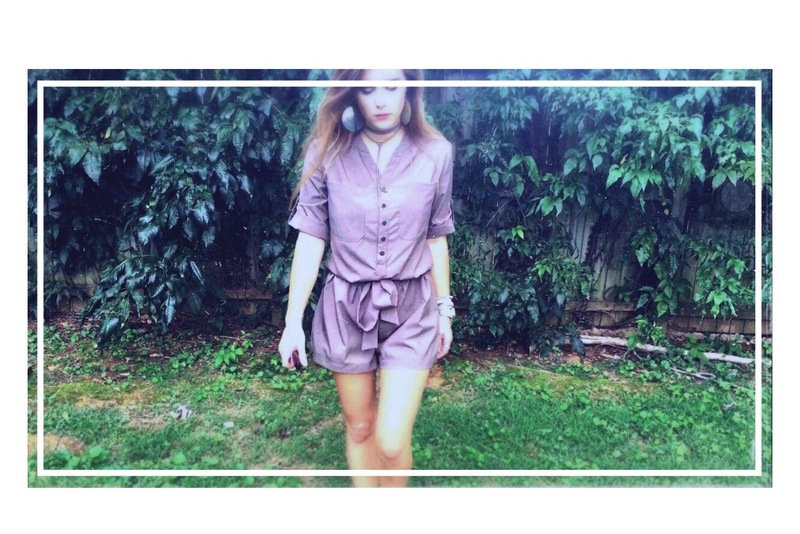 I usually feel awkward in most rompers since a lot of the ones I’ve found end up being so short it’s scandalous but this one is perfect! I think this is a good look for petite girls, the tie front gives it an equal torso/leg proportion. These are another well worn favorite, I can’t find the brand but I bought them at Belk on sale years ago and they just go with so much. Gladiators are a wonderful staple in my opinion! So I’ve been loving the Free People-esque long necklaces and I just had to have one of my own, so I literally made the necklace while it was on me. I’ve included some earrings that aren’t necessarily similar, but I think all 4 would look great with the romper+lariat combo. I hope you enjoyed this Cents of Style! Leave a like and make sure to follow for more wallet-saving outfits every week!